Guy Hepner is pleased to present some of the most popular works from artist, Roy Lichtenstein, one of the first American Pop artists to achieve widespread renown. Roy Lichtenstein is best known for his dotted, angst-filled comics featuring beautiful ladies in distress. Roy Lichtenstein takes a modernist perspective of the picture plane by utilizing a method of commercial design through comic strips and advertisement. Lichtenstein integrates the readymade quality of screen prints and integrates a painterly gesture with the use of thick lines, flat surface planes, and obscured perspective. Crak! was used as marketing materials for one of Roy Lichtenstein’s early shows. Named for its graphic text, Crak! 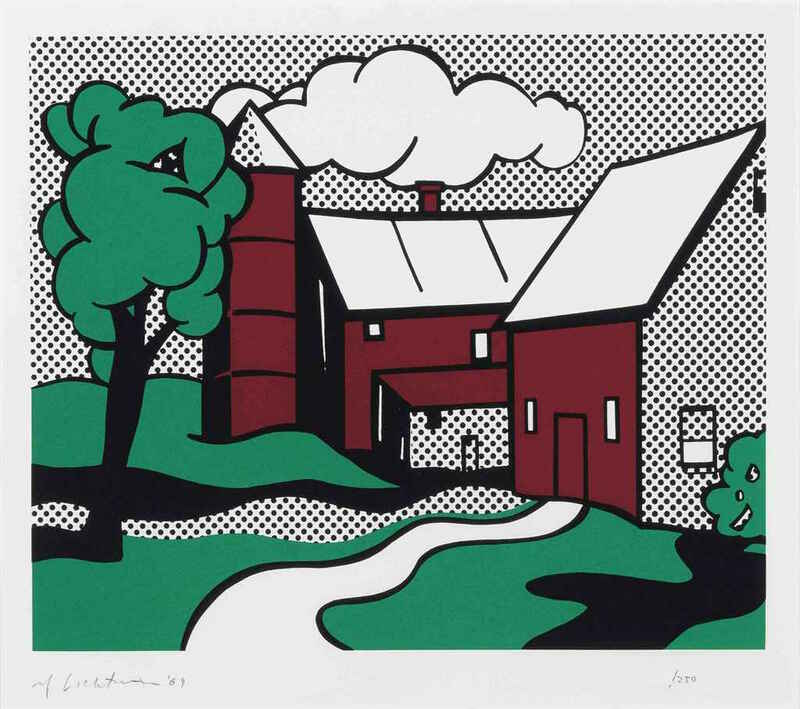 is an offset lithograph on lightweight, white wove paper.According to the Lichtenstein Foundation, it was a marketing poster that “was published to announce Lichtenstein’s exhibition at Leo Castelli Gallery, in the 60’s. Roy Lichtenstein’s early appropriation of the aesthetics of American popular culture made him integral to the development of Pop art. Roy Lichtenstein was a student of the work of Pablo Picasso, Joan Miró, and Paul Klee, Roy Lichtenstein incorporated elements of contemporary art theory and popular print media into his painting. In 1961 Roy Lichtenstein began to replicate the Benday dot system used in mass-circulation printed sources such as comics, newspapers, and billboards; this would become a signature element of Roy Lichtensteins painting and sculpture. By mimicking this industrial method and appropriating images from high and low culture, Roy Lichtenstein’s work realized a broader accessibility that had not yet been achieved in contemporary art. Roy Lichtenstein’s most recognizable series evolved from imagery drawn from popular culture: advertising images, war-time comics, and pin-up portraits, as well as traditional painting genres.